Husband: I love you too. Wife: prove it. Scream it to the world. 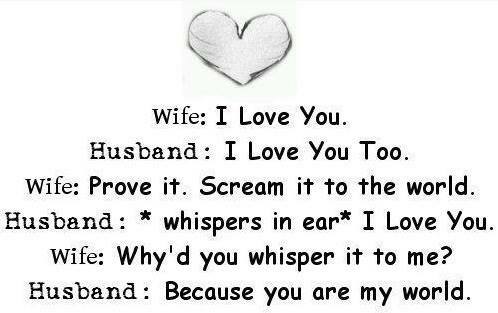 Husband: *whispers in ear* I love you. Wife: why’d you whisper it to me?